Gauntwings flew in delta formation overhead; cigar shapes painfully bright against the darkness of space. It was a routine patrol of Blues, rendered in silence by a metre-thick panorama of nano-glass separating the vacuum from the station interior. The Earth Alliance Free Fall Navy insignia was etched on their hulls, the blue of the birthplace of mankind. The opposing Red patrol, spheres bristling with Ares-class kinetic-kill shards, would be overhead in twenty minutes. Cheb put his head down. The smell of the absinthe emanated from glasses empty but for sugared dregs. The bartender's sensory proboscis articulated, its dozens of face-mounted flagella gesturing a question. Cheb could see himself reflected in the chrome of the droid - saggy jowls, moustache rampant across his unwashed face. His eyes were a weak verdure, seeming muted without the soft pink illumination he was used to seeing them in. The reflection nodded, and the machine-man poured him another precise row of emerald liquor. Each shot was arrayed in green and silver spooned splendour, like the Navy on parade. As this machine man finished, Cheb's aural implant brightened briefly, scrolling numbers counting down his remaining credits on the surface of his iris. Still enough to retire drunk on. A young girl walked in, keeping in the slipstream behind a knot of older men. Unlike the miners with faces determined to drink and carouse, this girl looked straight ahead and walked up to the bar. Thin, muscular. Tight leather pants. Something in her posture lasered through Cheb's liquor haze. Cheb tottered to his feet, keeping his face turned toward her. He retreated slowly, taking a shadowed booth with his back to the wall. From here, he could observe crowded bar in safety. He took another sip of the emerald liquid and smiled to himself. Just like back in free-fall basic. Good to know that his military training was not completely lost. He watched her, trying his best to seem nonchalant. The girl's feline poise, her utter economy of motion as she scanned the room, screamed special forces. Black black-ops. The nameless, genetically perfected ninjas that both sides deployed in this new cold war. Everyone knew that this latest armistice treaty would end up meaning nothing, like the three before it. The arena of hostilities had simply shifted; moving into the shadows, beyond the understanding of normal citizens. In the yottabytes flowing between Ares-Terra space, amongst the networks of ten thousand communications satellites scattered throughout the Inner System, from shielded bunkers scattered amongst the asteroid belt, the war continued. On the ground, it was waged with surgical precision. Employing vat-grown assassins, cutting-edge surgical hacks and memetic subtlety, trillions of credits were thrown at the fourth wave military industrial complex. He had no evidence, but he knew both sides were out to get him. This station, Redside Phobos, was neutral territory. Theoretically common ground for both sides. Theoretically, relatively safer. Nursing a moderate paranoia like Cheb's in this hyper-populated rat warren was actually quite healthy for continued survival. One couldn't tell which miner was covertly a surveillance-swarm engineer, or which maintenance man was actually the Director of Memetic Execution. This place had only one other advantage: this was the closest he could ever get to home. The feeling was bittersweet. If he had wanted to share one of the coffin-bed miner bunkrooms placed above ground, he'd see the bold red orb fill his space everyday. The surface he'd fought for. The place he was banished from. He was drawn to its colours, its familiar palette comforting, so unlike the choking blues of Earth. At the same time, he couldn't stay watching it too long. So he settled for the next best thing. He liked to sit in this bar and stare at it. Sometimes, in the darkness of his room, its stark expanses would stir his dreams, coalescing in his consciousness like a zephyr of Martian dust. He'd awaken; and the recollection would remain at the edge of memory, but the heaviness in his chest would stay. "Captain? Captain? Is that you?" a pimply face looked at him. Hadn't even noticed the kid. "Captain 7Flash*, I know it's you. I served under you during the Olympus Campaign!" "I'm Sub-Lieutenant #56Spiral." he paused, a little uncertain. "The Earth Alliance FFN." Cheb grunted. Kid looked barely out of basic - his curl and wings had a freshly stitched look. "I know, boy. You're too short to be a RustDuster." "It's a privilege to meet with you, sir." Cheb didn't reply. The boy stood there. The silence stretched. "May I sit with you for a moment, sir?" The boy was sweating with nervous energy. "I'd like the honour of buying you a drink." Cheb let him slide in. A pair of people at a booth was less suspicious, he supposed. The kid ordered a round of drinks and stared at him like he was a hero out of a fairytale. Cheb supposed in many ways, he was. A hint of old pride peeked through, new polish on a forgotten medal. The boy continued to stare, wide-eyed. "Sir, may I ask you a question?" Kid's eagerness tripped over his manners as drinks arrived. "How did it feel to finally be given a command post worthy of your abilities?" "Kid." Cheb downed the drink in one go. He was gonna need a few more drinks if he was going to tolerate the fawning. It was this kind of adulation that had driven him from Earth. That and the equal amounts of hatred he gave rise to in other quarters of the Inner System. "Those RustDusters refused you promotion, you, the Scourge of Tharsis! At war college, we talked endlessly about how we'd try to fight you. I must admit that all us ensigns were daunted by tales of your exploits. I'm glad you ended up with us in the Alliance instead. I'm proud to have fought with you." The... honour was mine." His responses were automatic. Learned, practiced. He had always hated using that one, but his media trainers had insisted on it. The kid chattered on. Cheb continued to focus on the leather-clad girl, who had just waved off one of the miners trying to buy her a drink. Girl was a born beauty. Short, bob-cut hair, ever-so almond eyes that hinted at a generous portion of her genes being from Asia. Definitely a ninja. "It was a reassuring validation that we were on the right of it, sir. The rebellion was foolhardy to begin with. We were just taxing our investment for return. Did they think that we wouldn't cut the elevator cable? At least we tried to do it peacefully. Disconnect at the bottom, let it float free." The kid continued talking, and Cheb downed another drink as the next round arrived. "... and what kind of honour is in nuking the cable halfway up? Impossible to retrieve. Maximum carnage surface-side. No-one could contain that kind of collateral..."
Cheb look back over at the girl. She was sitting there, sipping her drink casually. Too casually, he thought. Definitely on mission. The kid kept buzzing on. "...at least you got us all out. Shame about the domes, but you know what I think? Maybe the RustDusters had their memetic engineers figure it all out. Maybe they wanted to attack their own civilians. Make it seem like unavoidable collateral, like we forced their hands, eh?" She was not there. He'd only taken his eyes off her for a second and she had disappeared. He bolted upright, stumbling past the kid and out of the booth. The kid was still sitting there, foolish mouth open. "Go, sir? Where? Why so quickly?" "They've found me. Girl in black leather." Cheb got out the booth and ran out of the pub. He was only a few hundred meters from safety. He'd run straight for his expensive private quarters. His sleeping space doubled as a panic room - he had paid for specialists to harden the spot from all kinds of intrusion. The kid followed him out, still a confused look on his face. Cheb waved him away. The alcohol and his paranoia formed a heady cocktail in his head. "All for a lousy promotion, kid. Not for honour. A life haunted by assassins within sight of home. There is no honour in that." It was the first answer he'd ever given that was not what his trainer had told him to say. Cheb turned a little too quickly away from the kid. He stumbled and fell. What was in those drinks? The kid moved uncannily fast. His arms lifted General 7Flash* of the Alliance, once-called The Scourge of Tharsis, now called the Betrayer of Free Mars, to his feet. For a moment, Cheb's face was chest level with the kid's only service badge - white snow stripe on a band of Alliance blue, placed on a field of Mars Red. The Olympus Campaign ribbon. A sick realisation like a punch in the gut. The kid was too young to have served on Olympus. And he had called him Captain, his Red Martian rank, not his Blue Alliance one. Cheb tried desperately to twist free. The boy's index finger extended a rapier-sharp needle that punched through his chest and retracted too quickly for the eye to follow. Thank you. You will be notified when it's available! The year is 2184 AD. Mars is newly free, but not safe. 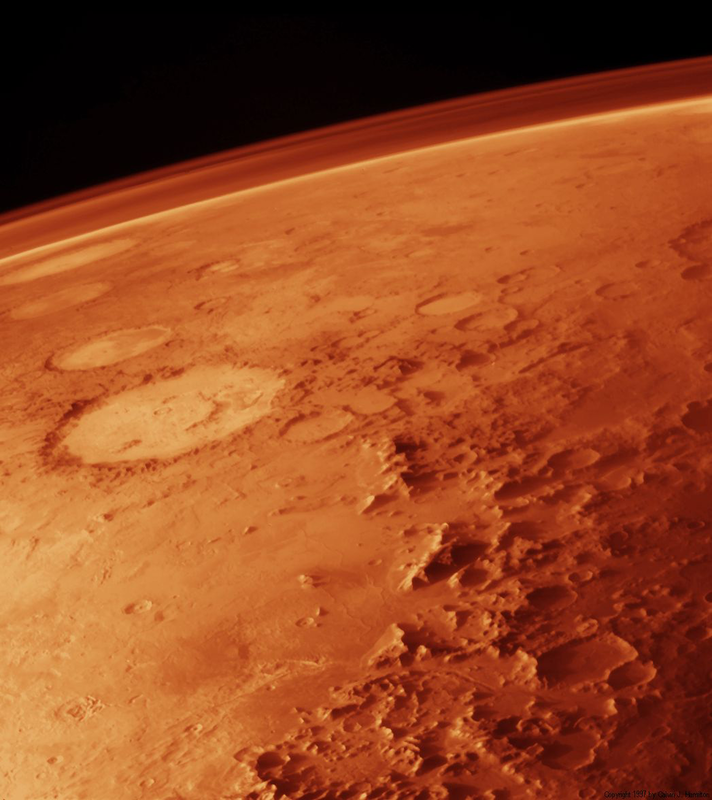 A cold war rages between Earth-Mars space. The Martian space-elevator lies in nuclear ruins, a million lives snuffed in its fall. Gauntwings and space-spheres bristling with Ares-class kinetic-kill shards patrol the Asteroid Belt. Memetic hacks and information warfare brings chaos to the lives of dome-dwelling Martians and teeming masses of old Earth alike. Genetically-perfected ninjas assassinate enemies of the state. ...and you hide your past in a claustrophobic orbital warren - Redside Phobos - floating on the edge of Free Mars, drinking yourself to an early death.